I carry this USB stick with me all the time in case I have specific project photos, which I take on a daily basis, to transfer onto it. 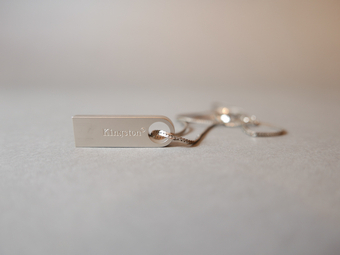 The memory stick is a necessity in my work - as an artist, it helps to hold ideas, visuals. In some ways, it limits my time to enjoy the moment. I have chosen, this time, to bring it with me as a replacement for a piece of jewellery. This video connects with my own experience - investigating labour conditions for children, documenting all the places I worked when I was a child, a new immigrant in Canada. After all these years, I see it as a mind-set issue how we interpret ‘opportunities’ for young people.